Walmart on Black Friday. Despite all of these things, I got talked into going to Walmart on Black Friday in 2010. Until a recent mishap, I was actually glad I did it. I purchased a 42" Emerson 1080p LCD HDTV for next to nothing and was quite happy with it. Just after the warranty expired, like magic, the TV started having problems. BIG PROBLEMS. Well, they started small but grew like weeds. It all started in the middle of Dora The Explorer. I went to turn the volume down with the remote and there was no response. I assumed it was the batteries, so naturally, I left my seat and pushed the power button on my Emerson TV. No response. What did I do? I unplugged the damn thing, plugged it back in and pushed power. The blue light came on at the bottom left of the TV. That was it. It still wouldn't turn on. I temporarily gave up. A few hours later, I decided to do what most people do when they can't figure something out. www.google.com. Lo and behold, I see hundreds of people with the same problem. I see hundreds of people that are disgusted with Emerson and Walmart. I see hundreds of people that seem to be SOL and reverting back to their old tube TV's. I don't see any answers. For a while I contemplated making a video pretending to play Wii bowling and launching my WiiMote into an already broken TV. I figured I could at least get some YouTube hits out of this. Fortunately, I refrained. Now, being a computer guy, this idea popped into my head. For computers, I consider it one of the oldest tricks in the book. It's typically the computer world's equivalent to raising Lazarus from the dead. Folks, behold the power drain! I'm not going to get into the science of it but I will tell you how it's done. 2. Hold the power button down for at least 1 minute. 3. Plug the TV back in. 4. Push the power button. After I did this, to my surprise, the TV came on like normal. I cheered wildly and knocked on some wood. Now, the next day it happened again. So I drained the power again, thinking this was going to become the standard power on procedure. Well, that was the last time I had to do it. It's been almost 3 weeks now and the TV is working perfectly! Maybe what I did didn't actually fix it. Maybe it's just some giant coincidence. I don't care. It works, and I didn't spend a dime. If this helps just one person, I'll be thrilled. Try it out and let me know how it goes! I also bought one of these on black Friday 2010, and it's worked perfectly since, until last night in the middle of a show, it went black and started buzzing. This morning, I noticed a crack on the screen. So much for Emerson! Hi Joy, it seems like it might be a different problem than what I had. It still might be worth a shot to try the fix I listed above. After doing it to my Emerson, it's still working! That being said, this is the last Emerson product I will buy. Best of luck to you! Hi vcannady, I'm sorry this didn't work for you. What are the current symptoms of the TV? tried it literally 5 minutes ago on my brother-in-laws tv. and it worked!!! I felt so bad because they were so excited when they bought it and found absolutely no solution for it. thank you so much!!! That's GREAT!! I love hearing success stories. Glad it worked out. Be sure to follow this blog for more tips, tricks, and all-around tech goodness! 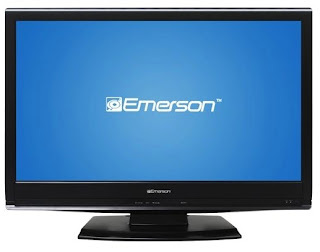 Worked great for me on my Emerson TV!.And I was about to buy another TV. THANKS! Awesome! Glad to help! Make sure to follow the blog! this didn't work for me, :( please help! My tv was working perfectly fine yesterday, then today when i turned it on the volume automatically went to 100. I went to turn the volume down using the side buttons on the tv, but there was no response.. none of the buttons worked, so I grabbed the remote- also no response. I shut the tv of, unplugged it, plugged it back in, then turned it on again. This time it seemed to be working. 5 minutes later the tv started scrolling through the menu options by itself and the volume continued to go from 0 to 100. I'm sorry this fix didn't work for you. I'm not a TV repair expert, but it seems you might be experiencing a different issue. The only advice I can give is to unplug the TV, hold the power button down for about a minute and then leave the TV unplugged over night. Plug it back in the next day and see if that helps. If that doesn't work, you may want to consult a professional repair service. Best of luck! I tried this and it didnt work :( my problem is different though. My tv is not gettinf any power.. at all. The red "sleep mode " light doesnt even come on. If you have any other tips thatd be awesome! I'm sorry it didn't work for you. I don't have much more advice as I'm not a TV repair professional. I only posted what worked for me. The only other thing I would do is to try a different power cord and a different wall outlet. You should be able to easily find a matching power cord from your local electronics store. If those things don't work, you will probably want to consult a professional. Good luck! Wow, to my surprise it worked the very first time! I am so glad you didn't throw your Wii remote into your TV and your genius mind came up with this easy solution! We were just about an hour away from going to Walmart to replace it but I came across your blog as I was trying to see if there was any advice out there and sure enough simply unplugging the TV and holding down power for 60 secs did the trick! Hopefully this will buy the Emerson a bit more time as it is only about 15 months old and is primarily a guest TV and not used on a regular basis. Thanks again for the tip! Great to hear! I am pleased to say that my TV is 5 years old and still ticking! 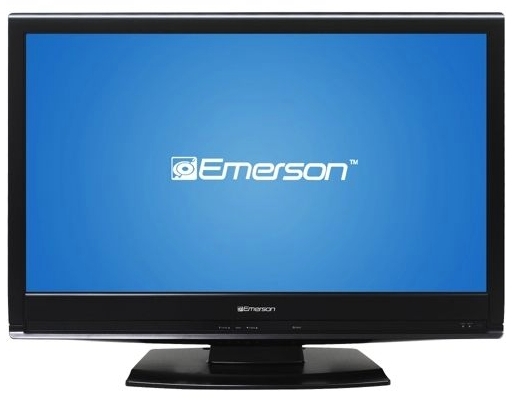 OK hey I got my Emerson TV black Friday 2014 and I've had no problem until today. I was playing a game and the screen went black and it started making a beeping noise every few seconds. I tried what you suggested with your TV a few times but no luck. Any suggestions? Thanks for the comment! Unfortunately, this sounds like an entirely different issue. I wish I had some advice for you, but I don't. This may be a job for a professional. Dear Rockitman, I'm not sure if you are still reviewing this blog post, but I just want to say a great big THANK YOU!! This tricked worked on my Emerson black Friday TV. I'm glad to hear this is still helping people after all of these years! After this fix, my Emerson is still going strong! Im glad i came across this. I was just about to place repair on my emerson 50in. And yes like most of you i got it from walmart black Friday. Ive had it 2yrs and now its non-respondent to all remotes and buttons on the tv. As soon as i go home ima try this sequence and hopfully it works. Son of a B----, it worked! Thank you, I appreciate the knowledge! Another BF 2014 Emerson LCD TV, had sound yesterday eve and turned off 24 hrs, then now, no sound (remote & tv buttons work and show volume increase/decrease) picture is fine. Any suggestions? This worked for me! I couldn't get the buttons to work on the actual tv, but responded using the remote. This fixed it and now I can change the source!